The week continues on. How many of you are still working on Thanksgiving leftovers? Tonight will be the last of the sliced turkey and sweet potatoes for me. I do, however, still have many servings of soup left. Most of it went into the freezer for later. It's all good, but I'm reaching my limit on wanting to have it again for a while. For other tasty bites, we've got our midweek snippets. 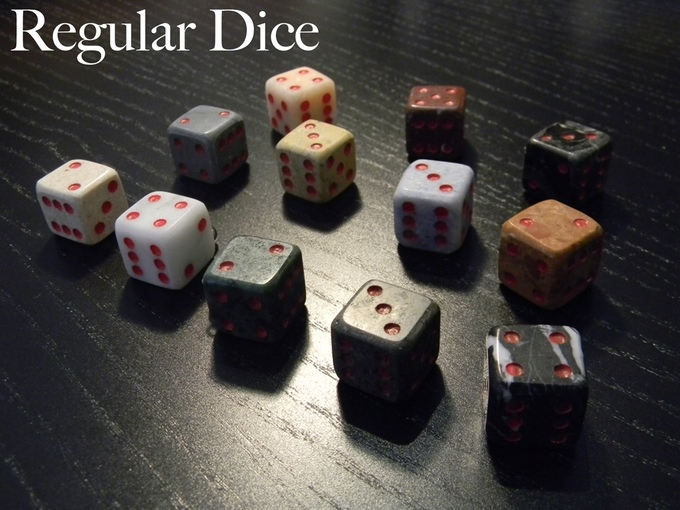 Today's stories include: Major 1p40k/KT Update, Rogue Planet | House Rules and Scenario Generator added, Horcmany Eve - A Flintloque Adventure from a Time before Blackpowder, FREE Interactive Solo Adventure PDF - The Cave & the Treasure, Eternity Dice Regular and Charms Edition on Kickstarter, RONE Card Game Approaches Funding Goal, Massive Awesome Unveil The Biomancer For Shattered Earth, Tail Feathers Downloadable Scenarios Now Available, Viera Sci-Fi Mini Now Available From RN Estudio, New Wolsung SSG releases, and Nexus Miniatures Posts Progress Update. Congratulations. You've made it to another Friday. Celebrations are to be had. The work week is coming to an end. With any luck, you've got some gaming planned for the weekend. I'm going to try and succeed in that TPK of my D&D group. That'll teach them that "just charge at it" might not be the best in terms of battle strategy. Anyway, as is our tradition, we've got a collection of bite-sized stories we've collected over the past couple days. We present them to you now. In this batch we have: New 4Ground Arab Rural Dwellings at Warlord Games, Native Human Scouts - A Classic Rules Supplement for Flintloque Updated, Asgard Space Pirates Re-Released at Alternative Armies, 12 Realms: Bedtime Story New Ghost Minis, Planetary Militia 3rd Squad released at The Ion Age, Minifigs Resurrects Space Warriors Range After 20 Years, Pedion Modular Battlefields getting better every minute - 3 Stretch Goals unlocked, New Female Cyclops from Brother Vinni, Tabletop Napoleonic Range re-released at 15mm.co.uk, and Manorhouse Workshop Update #33 – Modular Underground Project – Into the box. Friday is once again upon us, dear readers. Oh what a glorious day it is, indeed. The weekend stretches ahead of us with all sorts of possibilities. Hopefully those possibilities include gaming-related goodness. My D&D game last week included using Unseen Servants to use an ogre corpse like a marionette. ... ... I've... got a weird group. Anyway, as is our custom, we've collected various bite-sized stories and present them to you now. In this batch we've got: Another World Miniatures announces new Indiegogo campaign, New 10mm SdKfz 251/20 'Uhu' (WWII German) from Minifigs, More codes in Khurasan's re-release of Testudo ECW/TYW range, Celestial Knight by Kabuki Models: WIP, Kabuki Models' original sculpture on sale, Dice Tower Award Nominations Posted, Battle Systems sneak peak of new terrain line, T1 Gaming Supplies Launch Event, Universal Adventures Adventure Module #3 Death Knell Delve Part I Now Available, Microworld Games 6mm Demons Released, Punkapocalyptic coming to Indiegogo on May 4th, Multiverse Gaming webstore is open, New 40mm bases from Dark Art Miniatures, and Dolmens and Dragons - An Entwickler Adventure from a Time before The War. It's Friday... and while I wouldn't say "I'm in love," I'm at least happy that it's Friday. Hopefully you've got some gaming planned for the weekend. 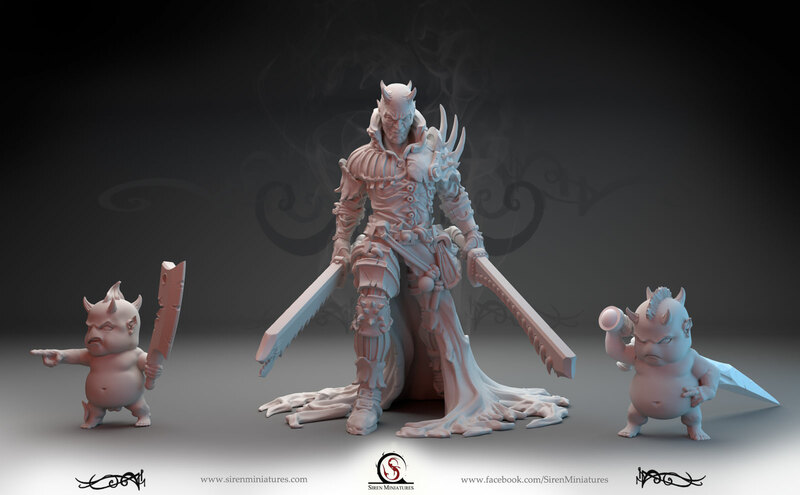 Some of you will be gaming at Adepticon. Those are the lucky ones. Some of you will be forced through a fine mesh screen for your gaming. Those are the luckiest ones of all. We've brought together another set of bite-sized stories for you to nosh on while you prepare for whatever you might be doing this weekend. In this installment we've got: Bilbo Nesta Marley and The Macaroons - An Adventure from a time before Blackpowder, New scenery pieces preview from Multiverse Gaming, New Walking Egyptian Girl from Brother Vinni, Warsaw Rising Up 1945-1980 Up on Wspieram.to (it's a Polish crowd-funding site), Khurasan previews 15mm Peshmerga fighters, New Debris Field and Asteroid Tokens from CorSec Engineering, Last call for Amazons and Automatons from Crocodile Games, New Releases available from WarGamma, The Fiver with Swarm of Dice LLC on Designing Loot & Recruit, New Tank Preview from Mad Robot Miniatures, and Tabletop Adapters Kickstarter running now. It's a drizzly Sunday here in Atlanta. But I've got gumbo simmering on the stovetop and a batch of fresh cookies. So all is well. Anyway, here's a couple of the bite-sized stories we've come across in the past few days. Below the fold we've got: Microworld Games Releases New 6mm Fantasy Army, Ludus Magnus Studio start to show all the models in Nova Aetas' box, Final Days for Dungeon Worlds Kickstarter from Acheson Creations, Britt Shotte - An Orcs in the Webbe Original Scenario Returns, New Aeronef Releases From Brigade Models, the latest update about Super Dungeon Explore, Heroic Maps - Modular Kit: Industrial Spacecraft Corridors, The Lost Dungeons of Xon interactive e-module now up on Kickstarter, Happy Burger Bot free at The Ion Age, and Spectre Miniatures Technical Kickstarter Launches. It's what I'd call a perfect Atlanta Winter's day here today. Not cold, but cool. Some fog hanging around here and there. No wind. Just a nice, pleasant day. Also sounds like a great day to make some gumbo, but that's for later. In the meantime, here's some of the shorter stories we found for you these past couple days that we wanted you to know about. In this batch we have: Sally 4th Terra Blocks – Terra City One Release One, New Map Sets from Heroic Maps, Von Rotte Artillery Crew released for Flintloque, Brewin' USA Board Game on Kickstarter, Arcane Dragon released for ArcWorlde, APEX is released to retailers via Peachstate Hobby Distribution, New Ninja All-Stars previews, Relic Knights/Super Dungeon Explore Cross-over cards previewed, New Female Corporal by Brother Vinni, Fornax Galaxy Previews Centurion Sculpts, Balls to the Wall - A Classic Flintloque Scenario, Brigade Models - New 10mm SF Buildings, and Two new 55mm bases from Micro Art Studio. Time for some more News Snippets. These are more stories we want you to know about, but they're just a bit shorter in nature. Orcs in the Webbe has their Advent Calendar event going on again this year over on their website. Be sure to check back often for new scenarios and other goodies. Today marks the first day of Orcs in the Webbe's 2014 Advent Calendar! Over the next 24 days I will bring you a brand new never before seen article each and every day on the run up to Christmas. 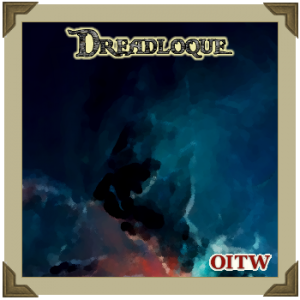 Orcs in the Webbe continues their Dreadlock season with the next installment. Today you can find the second part of the prelude to this years 'season' of Dreadloque. This week we see how a character starts an investigation in an AAR for THW's 'And a Bottle of Rum' rules as well as my Flintloque fiction based on the adventure. 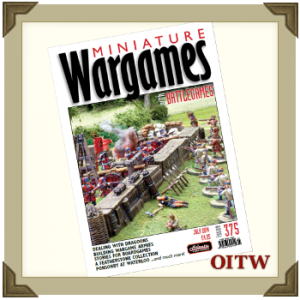 Orcs in the Webbe takes a look at Miniature Wargames Magazine #376 in this review piece. Here is my quick review of the August edition of Miniature Wargames, issue 376. Apologies for it being a month late (the September issue, 377, came out last week) but I only got a chance to sit down with the magazine over the last weekend. I started Written Matters on OITW back in 2008 to let readers know what is in a particular publication and if there’s anything of particular note that I feel might be of use to it’s readers. Back then it was anything of a vaguely Blackpowder / Alternative Historical bent but now the readership of OITW has expanded so has my mini review. Orcs in the Webbe has updated their Chain Reaction/Flintloque crossover rules. Go get the latest version from their website. In 2011 long time Flintloque fan and author of several well respected wargames rulesets, Bob Minadeo, wrote some rules for using your Flintloque miniatures with THW's free Chain Reaction 3.0 rules. 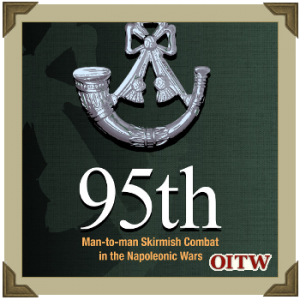 Now, in 2014, Chain Reaction has been updated and THW have released a full supplement dealing with skirmish gaming in the Napoleonic Era. Orcs in the Webbe is proud to present the updated version of the hugely popular Flintloques & Muskets crossover rules. 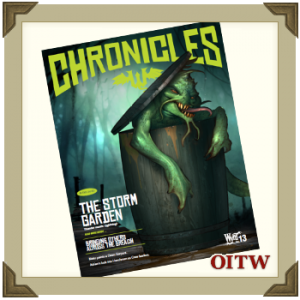 Orcs in the Webbe takes a look at the latest issue of Chronicles from Wyrd and gives you their thoughts on the subject. Today on Orcs in the Webbe we take a look at the latest issue of Wyrd Games' Malifaux magazine, Chronicles, and give it the Written Matters treatment. Written Matters is a series of short reviews that I started on OITW back in 2008 to let readers know what is in a given publication and if there’s anything of particular note that I feel might be of use to its readers. Back then it was anything of a vaguely Blackpowder / Alternative Historical bent but now the readership of OITW has expanded so has my mini review. 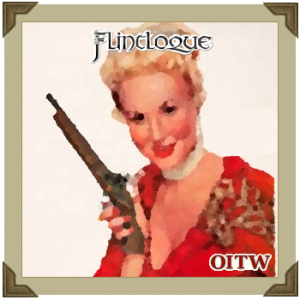 Orcs in the Webbe has another retrieved and refurbished Flintloque scenario up on their website. Today on Orcs in the Webbe you can find the last scenario of Matthew Hartley's 'A Rhyme for Our Time' Flintloque mini-campaign. Orcs in the Webbe updated and reposted another classic Flintloque scenario up on their website. Since Orcs in the Webbe's inception in 2004 a whole host of people have written brand new scenarios for publication on the site, they go under the banner of 'Orcs in the Webbe Originals' which you can see in the introduction of any given article. Today sees the welcome return of one of a number of Orcs in the Webbe original articles that mysteriously disappeared during an earlier regeneration of the site. Orcs in the Webbe brings us another updated Flintloque scenario. This time it's Wreckers. Today on Orcs in the Webbe another of Matthew Hartley's 'Flawed Gems' returns for your gaming pleasure. In 'Wreckers' we see some Orcs of Albion, forced into desperate measures by a harsh winter, lure a ship onto the rocks in a bid to claim the cargo as their own. Orcs in the Webbe takes a look at Miniatures Wargames Magazine #375 and gives you their thoughts on the subject. 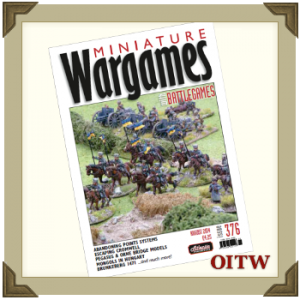 Today Orcs in the Webbe's Written Matters column looks at Miniature Wargames 375, the July issue of the wargaming magazine. Orcs in the Webbe updated and released another classic Flintloque scenario up on their website. The story of the rebel Ferach Elf heroine, the Crimson Bunionette - scourge of Mordred's plans, continues in this classic scenario from the Flintloque Archives which sees Bette liberating loyalist Elves from the very jaws of death. 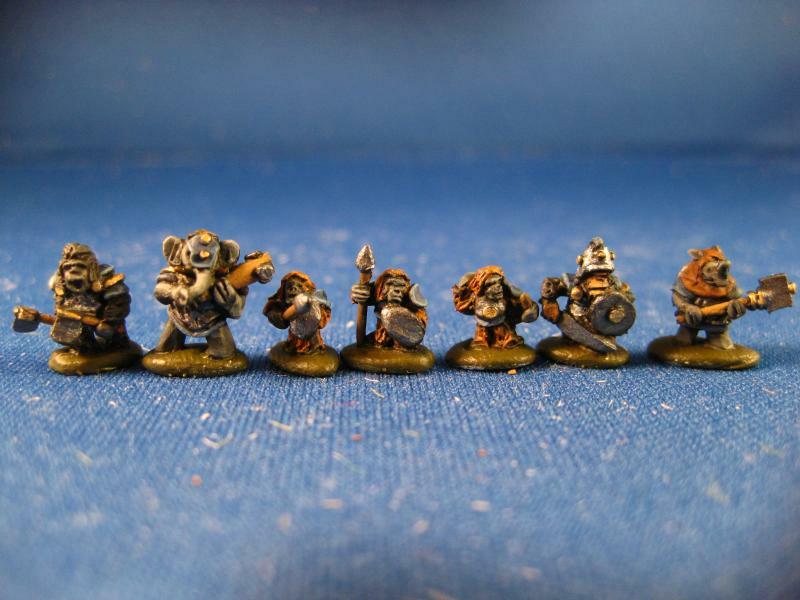 Orcs in the Webbe have released the Regiments of Greate Britorcn rules for Flintloque over on their website. Today sees an exclusive official PDF release for Flintloque on Orcs in the Webbe. 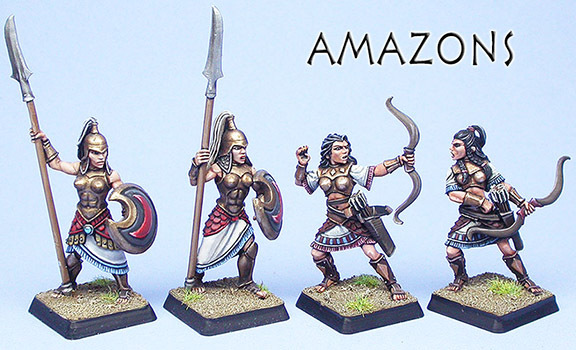 Gavin Syme, lead writer for Alternative Armies and head of the World of Valon has put together something Flintloque and Slaughterloo players have been after for some time, a PDF detailing the names, numbers and colours of all the foot regiments in the army of Greate Britorcn. Orcs in the Webbe has a new Flintloque scenario they've posted up. 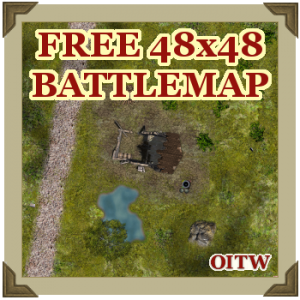 Along with it, they've got a free downloadable battlemap for it. Today sees a brand new Flintloque scenario featuring the beloved anti-hero Foul Mouth Freddy by none other than Freddy's creator Tony Harwood. In 'The Kyng's Bloody Shilling' Freddy must retrieve a hidden satchel full of gold needed to pay Wheeling-Turn's troops before it can fall into Todoroni or Ferach Elf hands. 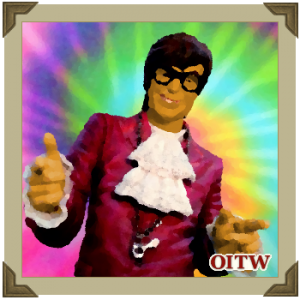 Orcs in the Webbe have posted a new Reaction System scenario up online: Within God's Walls. Today Orcs in the Webbe brings you another brand new original scenario for use with Two Hour Wargame's Reaction System games. 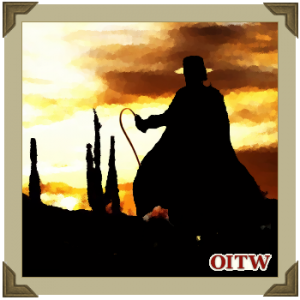 In 'Within God's Walls' Don Diego Della Toyota's friend, the nobleman Don Armand, has been speaking out against the taxes levied by the cruel Alcalde Jamón and has been forced to hide out in an old mission to avoid arrest. Luckily for him Don Diego is the man behind the mask of El Lupe, the people's hero and he is on his way to help his friend. Set in Alternative Armies' Valon, the world of Flintloque, El Lupe is based on Zorro and you can play it using a variety of rulesets including any of Two Hour Wargame's Reaction System games. Orcs in the Webbe continues updating classic Flintloque scenarios to the latest version of the game with Sharke's Eagle. Today sees another classic scenario for Alternative Armies' black powder fantasy wargame Flintloque presented for your gaming pleasure with a few notes on running it using the current 3rd Edition of the rules. 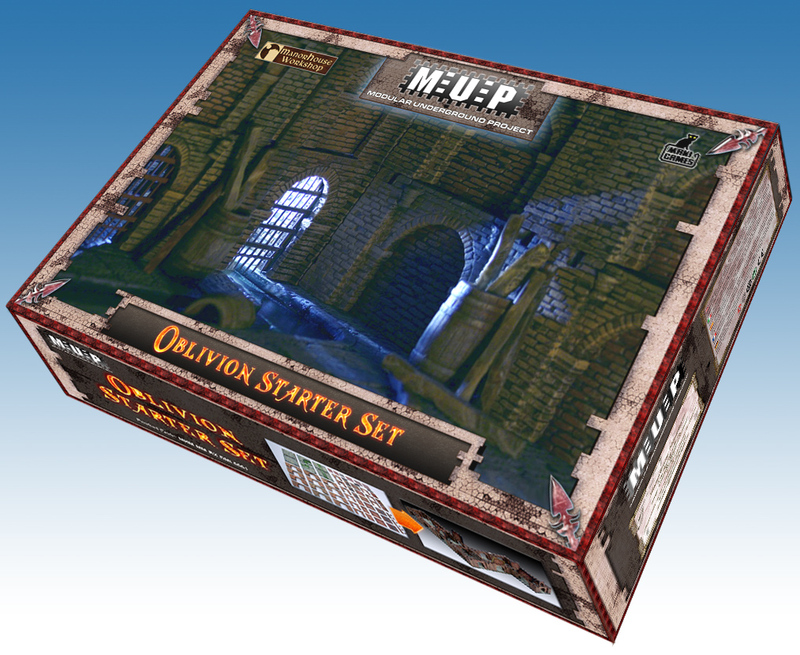 Orcs in the Webbe has a new Flintloque scenario posted up on their website. This one's Escape. Today over on Orcs in the Webbe you can read a brand new original scenario for Alternative Armies' blackpowder fantasy skirmish game Flintloque. "Escape" is the first adventure of the world changing Relics story arc. In it a group of Dracci worker caste, unhappy with their Sovereign's rule, must escape the mysterious Dracci lands across the perilous forbidden marsh. All the while pursued by a vicious Blood Lord hunting party. Orcs in the Webbe has another classic Flintloque scenario updated for the latest edition over on their website. Today Orcs in the Webbe brings you a classic adventure featuring none other than the one of the true luminaries of Valon, Rekhardt Sharke. Based on Benard's Cornwell's Sharpe, Sharke was a mainstay of Flintloque in the 90s, many fans coming to the game straight from either the novels or the TV Series. Today's adventure, 'Sharke's Shovels' by Simon Evans was first published back in the Spring of 1996 in the second issue of the original Wessex Games' Orcs in the Hills magazine - the magazine which I originally based my website on. I have updated the names it to fit into the current edition of Flintloque and made a few notes (in red italics) showing how you can get the most out of the scenario with the current rules. Orcs in the Webbe have posted up a new scenario for Two Hour Wargames' Chain Reaction system. Today sees the first scenario on Orcs in the Webbe written specifically for use with Two Hour Wargames’ Reaction System series of rulesets. It was written so it could be played solitaire with the free to download Chain Reaction rulesets but can easily be played using any of their game systems thanks to the modular nature of the games with their central Reaction System mechanic.